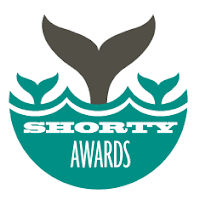 Currently we're in 2nd place of the Shorty Awards for the politics category and we just need about 20 "tweets" to get into first! The contest is neck-in-neck, so we need a lot more than that to get on top, and stay on top! Voting ends tomorrow night at midnight, Pacific Time. Again, the better we do in contests like this, the more people are learning about our work and about the problems we're fighting! It's especially great as we're the only Jewish organization in the politics category and the only nominee with right wing views. You can also send shorter votes like this: #shortyawards @username #category (add quick reason here). Be as creative as you want with the reason! If you can get your friends and family to help, that would be great too! Thanks for all your support!